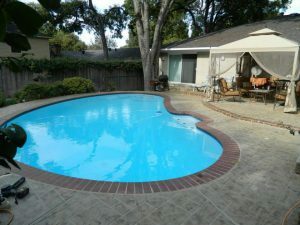 Pool Repair North Dallas provided by Texas Fiberglass Pools Inc. prides itself on servicing the North Dallas area with our excellent products and renovations. We are the masters of North Dallas fiberglass pool repair, fiberglass pool resurfacing, and additionally resurface spas, decks, baptisteries, and more. Our goal is to save you money and lengthen the life of your pool while providing excellent customer service and the most prestigious products the industry’s manufacturers have to offer, and at an affordable price. We are equipped to send a team of North Dallas fiberglass pool repair professionals to your home or business to assess your swimming pool, spa, or deck resurfacing needs, provide you with a free written estimate, and perform our services in a timely and efficient manner. Commercial pool resurfacing, residential pool resurfacing, deck resurfacing, tile replacement, and custom coping installed by Texas Fiberglass Pools Inc. can revitalize and lengthen the life of your pool for years to come, guaranteed.